Charlie is Co-chair of the Firm’s Litigation Department and leads the Firm’s Trust and Estate’s litigation group. 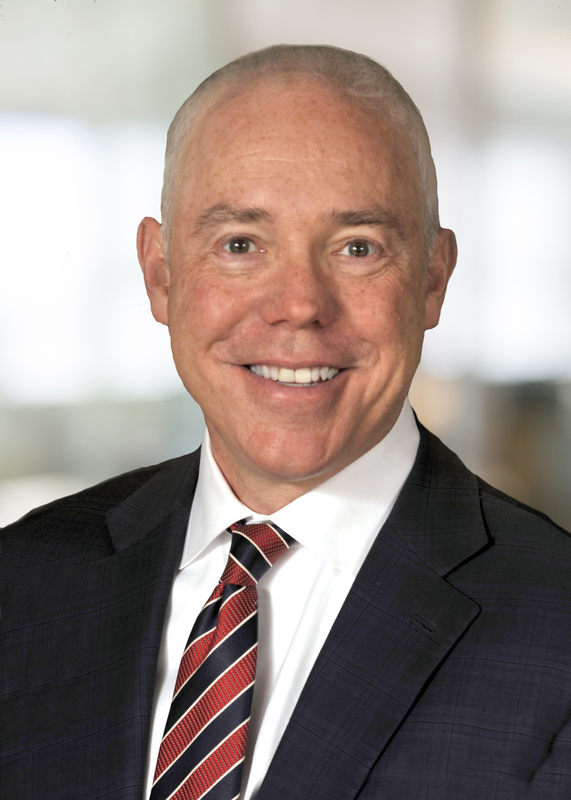 Charlie has over 30 years of litigation experience with Whitman Breed and its predecessor firms, including five years with Whitman Breed’s former Manhattan office. Charlie has represented clients before state and federal trial and appellate courts, probate courts and administrative bodies in a broad range of matters, including trusts and estate litigation, complex business and commercial litigation, and commercial lending litigation. Charlie’s trusts and estate litigation experience includes representation of corporate and individual trustees, executors, beneficiaries, conservators, guardians and attorneys-in-fact, and service as a guardian ad litem or court-appointed attorney, in disputes involving all aspects of probate and trust and estate litigation, including breach of fiduciary duty claims, trustee surcharge and removal proceedings, contested accountings, will and trust contests, construction and decanting proceedings, conservatorship and guardianship proceedings and contested lifetime transfers. “The Effectiveness of Retention Clauses and Exculpatory Language under Connecticut Law” published in the Connecticut Bar Association Estates & Probate Newsletter, May 2010 (Co-Author). “Exculpation and Proaction,” “Estate Planning” Magazine, February, 2010 (Co-Author). Guest Commentary: “Companion Opinions Address Emerging Trend in Standard of Proof of Debt Owed,” Bank Bailout Litigation News, November 9, 1998, Commercial Lending Litigation News, November 1998. “A Question of Fault – Apportioning Contract Damages,” Metropolitan Corporate Counsel, October 1997. Successfully dismissed appeal taken by a Swiss trustee from probate court decision holding that it had jurisdiction to hear a trust accounting petition, thereby preserving the probate court’s finding of jurisdiction in a case where the trustee had twice moved to dismiss claiming that the petition should be brought in an offshore jurisdiction. Rysaffe Fiduciaires SARL v. Hind El Achchabi, 2018 WL 1936468 (Conn. Super. April 3, 2018). Successfully moved to strike claims for tortious interference with an inheritance and tortious interference with a contract in a dispute over nearly $20 million in transfers. Our motion raised the unsettled issue of whether and in what circumstances Connecticut courts should recognize a cause of action for tortious interference with an inheritance. The Superior Court agreed with our arguments that (i) the plaintiffs had failed to plead the level of tortious conduct required to state such a claim and (ii) that the plaintiffs had no legitimate expectancy interest under the divorce agreement under which the plaintiffs’ claims allegedly arose. Zupa v. Zupa, 2018 WL 18552 (Conn. Super. June 20, 2018). On behalf of trustee, challenged settlor’s putative restatement of a $40 million trust purporting to significantly amend its terms. The background was complex: the trust derived from foreign and domestic trusts originating from a foreign source and the case raised cutting-edge issues regarding the use of a power of appointment to restate an irrevocable trust. We successfully resolved all issues between and among the trustee, the settlor and the beneficiaries. Successfully resolved claims against corporate fiduciary in contested accounting proceeding wherein beneficiaries sought to surcharge trustee in an amount in excess of $70 million. Issues included trustee’s compliance with Prudent Investor Act, including whether it had a duty to diversify concentrated holdings, and scope of protection afforded trustee under exculpatory language of trust instrument. Successfully defended individual trustee in removal proceeding brought by trust beneficiaries alleging breach of fiduciary duty, hostility and failure to properly manage trust assets. Case settled upon favorable terms after close of evidence. Successfully defended corporate fiduciary against trust beneficiaries’ claims seeking damages for breach of fiduciary duty, fraud, conversion and unfair trade practices. Case concluded upon beneficiaries withdrawal of all claims. Successfully opposed, on behalf of Vermont fiduciary, attempt by decedent’s former attorney to contest Vermont will and instead probate an earlier will in Connecticut, including vacating attorney’s ex parte appointment as temporary administrator. Successfully represented trust beneficiary seeking to remove individual trustees and install successor trustees to ensure substantial family trust administered in manner consistent with settlor’s intent. Successfully represented out-of-state receiver of insolvent insurance company seeking recovery from Connecticut estate. Successfully resolved will contest by decedent’s daughter and sole heir contending late father’s “death-bed” will was procured by undue influence exercised by decedent’s girlfriend. Representation of son contesting actions of stepfather who commenced involuntary Guardianship proceeding in Florida against son’s mother. Matter involved proceedings in both Connecticut and Florida. Successfully obtained dismissal of claims against a national bank by investors who claimed that our client, acting as an investment advisor, breached an oral modification to the parties’ investment agreement, causing the plaintiffs substantial losses. The District Court agreed with our argument that the plaintiff’s claim was barred by the parol evidence rule, and dismissed the claim with prejudice. Gibilisco v. Wells Fargo Bank, N.A., 2015 WL 2383746 (D. Conn., 2015). Successfully obtained dismissal of fraudulent transfer claims brought by foreign bank against overseas clients on grounds clients were not subject to suit in New York. New York’s Appellate Division, First Department, unanimously affirmed ruling of New York Supreme Court. Deutsche Bank AG v. Vik, 163 A.D.3d 414 (1st Dept’ 2018). Successfully defended insurer in complex insurance coverage dispute involving a claim in excess of $150 million by a multinational corporation under the errors and omissions coverage of a combined specialty insurance policy. Successfully defended national financial institution serving as trustee of construction project financing in dispute involving claim in excess of $80 million by general contractor arising out of project developer’s termination of general contractor and its subsequent claims against, inter alia, trustee for claims of breach of implied contract, fraud and negligent administration of funds. Represented internet comparison shopping provider in dispute involving claim by former director for options and consulting fees. Matter favorably resolved after securing dismissal of former director’s counterclaims and prevailing in venue dispute. Dealtime.com v. McNulty, 123 F. Supp. 2d 750 (S.D.N.Y.2000). Successfully defended, through appeal, international corporation and its domestic manufacturing subsidiary in $60 million breach of contract/warranty case. Outboard Marine Corp v. Babcock Industries, Inc., 106 F.3d 182 (7th Cir. 1997); Outboard Marine Corp v. Babcock Industries, 1995, N.D. Ill., 1995 Lexis C429; Outboard Marine Corp v. Babcock Industries, 1994, N.D. Ill., 1994 Lexis 11998. Member of national defense counsel team which successfully defended manufacturer of prescription drug in connection with nationwide class action and multi district litigation proceeding. The litigation involved more than 250 suits and claimants throughout the nation. Valentino v. Carter Wallace, Inc., 97 F.3d 1227 (9th Cir. 1996). Coordinated international investment group’s investigation and prosecution of claims arising out of its multimillion dollar investment with founders and control group of prominent theme restaurant companies. Responsible for international financial investigation and prosecution of claims against control group and its multiple corporate entities. Successfully removed control group and favorably resolved lawsuits commenced in Italy, Ireland and the United States and international letter of credit proceeding. Member of team defending national financial institution’s subsidiary against claims arising out of client’s cancellation of purchase of $275 million mortgage loan pool. Involved in all aspects of case, with primary contribution to discovery directed to representations concerning, and actual credit quality of, mortgage pool.